This year's Digital Methods Summer School is devoted to the remote analysis of events. When Twitter changed its byline in 2009 from What are you doing? to "Whats happening? it acknowledged a transition in its use and value from an ego-tweeting and ambient friend-following medium to a news and event-following one. Indeed there is a growing literature (in the Summer Schools reader) on the relationship between social media and events, often focusing on conflicts, disasters as well as political elections. But what do events look like online, and how does one follow them analytically? What is the value of the event's second screening, as it is sometimes termed? Also, is the event's comment culture worth keeping as records of what has transpired? How to capture as well as re-render, or playback, the event? Claude Levi-Strauss famously wrote, I hate travelling and explorers, and indeed the great anthropologist spent scant time in the field, preferring remote analysis, a research practice that relied less on sensing instruments than on objects and description. Social media contributes sensing measures in the form of activity metrics and other data. They also raise the question as to what the Internet and social media add to events as well as subtract from them (so to speak). Evgeni Morozov relates the story that after the network was brought down in Iran during the Election crisis of 2009, there were perhaps 6 Twitter users on the ground in Teheran. Indeed the picture provided by Twitter may be demographically skewed. As the Pew Research Center found in 2013, reactions to events on Twitter differ dramatically from public opinion about them. We are also interested in the events as they unfold in and through mobile devices, and the data supplied with them. On geolocation, as opposed to on location, refers to the location data sent along with the posts and other content such as the camera data embedded in digital images. At the Summer School we analyse event data as supplied by social media and devices (broadly conceived), and also seek baselines against which to assess and compare its contributions. Example of remote event analysis using Twitter data, Digital Methods Summer School project 2013. Digital methods is a term coined as a counter-point to virtual methods, which typically digitize existing methods and port them onto the Web. Digital methods, contrariwise, seek to learn from the methods built into the dominant devices online, and repurpose them for social and cultural research. That is, the challenge is to study both the info-web as well as the social web with the tools that organize them. There is a general protocol to digital methods. At the outset stock is taken of the natively digital objects that are available (links, tags, threads, etc.) and how devices such as search engines make use of them. Can the device techniques be repurposed, for example by remixing the digital objects they take as inputs? Once findings are made with online data, where to ground them? Is the baseline still the offline, or are findings to be grounded in more online data? There is also a Digital Methods book. The Digital Methods Summer School, founded in 2007 together with the Digital Methods Initiative, is directed by Professor Richard Rogers, Chair in New Media & Digital Culture at the University of Amsterdam. The Summer School is one training opportunity provided by the Digital Methods Initiative (DMI). DMI also has a Winter School, which includes a mini-conference, where papers are presented and responded to. Winter School papers are often the result of Summer School projects. 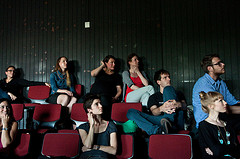 The Summer School is coordinated by two PhD candidates in New Media at the University of Amsterdam, or affiliates. This year the coordinators are Catherine Somzé and Sabine Niederer, both affiliated with the Digital Methods Initiative, University of Amsterdam. The Summer School has a technical staff as well as a design staff. The Summer School also relies on a technical infrastructure of some nine servers hosting tools and storing data. Participants bring their laptops, learn method, undertake research projects, make reports, tools and graphics and write them up on the Digital Methods wiki. The Summer School concludes with final presentations. Often there are guests from non-governmental or other organizations who present their issues. For instance, Women on Waves came along during the 2010, Fair Phone to the 2012 Summer School and Greenpeace and their Gezi Park project in 2013. Digital Methods people are currently interning at major NGOs and international organizations (the UN). Previous Digital Methods Summer Schools, 2007-2013, https://wiki.digitalmethods.net/Dmi/DmiSummerSchool. What's it like? Digital Methods Summer School flickr stream 2012 and flickr stream 2013. 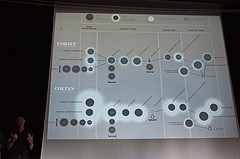 The Digital Methods Initiative was founded with a grant from the Mondriaan Foundation, and the Summer School has been supported by the Center for Creation, Content and Technology (CCCT), University of Amsterdam, organized by the Faculty of Science with sponsorship from Platform Beta. To apply for the Digital Methods Summer School 2014, please send a one-page letter explaining how digital methods training would benefit your current work, and also enclose a CV. Mark your application "DMI Training Certificate Program," and send to info [at] digitalmethods.net. Please also mention in your application e-mail whether you'd like to make use of the accommodation service (for more information see below "Housing and Accomodation"). The deadline for applications for the Summer School is 23 April. Notices will be sent on 25 April. Please address your application email to the Summer School coordinators, Catherine Somzé and Sabine Niederer, info [at] digitalmethods.net. Informal queries may be sent to Catherine [at] digitalmethods.net. The Summer School costs EUR 345 or non-credits EUR 445 with credits (6 ECTS). Accepted applicants will be informed of the bank transfer details upon notice of acceptance to the Summer School. The fee must be paid by 24 May 2013. The Digital Methods Summer School is part of the University of Amsterdam Summer School programme. This means that students attending the partnering universities in the LERU and U21 networks are eligible for a scholarship to help cover the cost for tuition and housing for the DMI Summer School. Please consult their sites to see whether you are eligible for a scholarship and for the application procedure. The Summer School is self-catered, and there are abundant cafes and a university mensa nearby. The Digital Methods Summer School is located in the heart of Amsterdam. There are limited accommodations available to participants at The Student Hotel at reasonable rates (EUR 440 excl. breakfast, check-in Sunday 22nd of June & check-out Saturday 5th of July). In your application please indicate whether you are interested in making use of this service. Reservations will be made by us on the basis of your request included in your application. In your acceptance notification, you will be given further information about booking and payment. Please contact the local organizers if you need more information about prices. For those who prefer non-University accommodations, we suggest airbnb or similar. For shorter stay, there is Hotel Le Coin, where we have a university discount. The Summer School may be followed for 6 ECTS credits. If you would like to receive credits, please make that known in your application. The Summer School meets every day. Please bring your laptop. We will provide abundant connectivity. We start generally at 9:30 in the morning, and end around 5:30. There are morning talks two-three days per week. 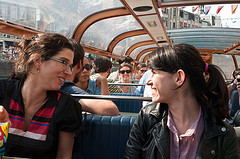 On the last Friday we have a boat trip on the canals of Amsterdam. We shall have a list of summer school participants and make an old-fashioned Facebook.